That may sound extremely harsh, but it’s just the way it is. Sugarcoating the truth won’t help anyone. So, how do we get OUT of Information Overload if we’re already in it? 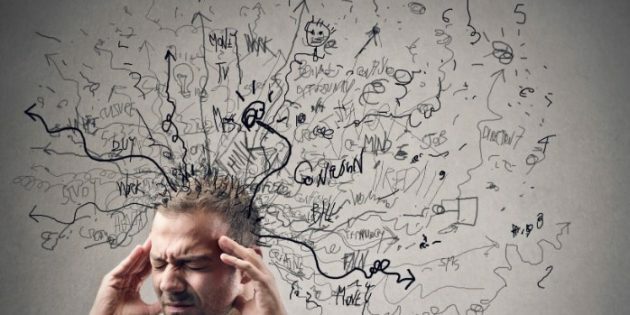 If you don’t feel that you’re experiencing Information Overload but want to avoid it at all costs, then checkout this post. So, if you’re struggling with Information Overload, let’s talk about the action steps you need to take to get unstuck and start moving forward again. Stop (or pause) Learning, and START DOING. Don’t misunderstand me. I believe in continual education. I don’t believe that we ever get to a point where we “know everything” or should stop progressing. If we’re not moving forward, we’re moving backward. Having said that, you need to realize that your FIRST step in getting out of Information Overload is to (temporarily) STOP learning. You’ve likely gotten into Information Overload because you tried to learn too many things at once. Remember that if you exceed your “Info Threshold” (the amount of info your mind can clearly hold onto at once) then learning and progress stops. So actively decide to TEMPORARILY stop learning so you can move forward again. Identify a Skill That You’re Comfortable With and TAKE ACTION! Are you waiting to perfect your skills through learning? Sorry but it will NEVER HAPPEN. In the Internet Marketing world, we can only learn a certain amount with traditional learning (or being taught). We can learn the basics… but then we need to perfect our skills through ACTION. We learn by doing. For example, choose the form of traffic generation that you’re most comfortable with, – Solo Ads, Blogging, Youtube Video Marketing, Social Media, or PPC – and start taking action. DON’T WAIT until you feel like you’ve learned “enough”. Instead, take action on what you already know. Track your mistakes and successes. Refine your process based on what you’ve learned. Then take action again. The most important thing is that you’re promoting a SOLID offer that converts well and will make you your money back WHILE building your e-mail list. Nowadays there’s COUNTLESS offers out there, but only a select few that convert really well. I recommend The Super Affiliate Network. Master One Strategy At a Time. After you’re getting results from ONE, and only ONE strategy, it’s time to branch out and start learning ONE other traffic technique. Choose that strategy and START IMPLEMENTING what you learn. As before, don’t think you need to learn a certain amount before you start implementing. Just take action. To reiterate; implement and focus on ONE strategy, and ONLY ONE traffic strategy at a time UNTIL YOU’RE getting solid results with it. Then move on to the next one. Learn From Your Mistakes. Understand how you got yourself into Information Overload in the first place. Make a point to never go back. That’s it. Remember, if you think that you have to master any skill before taking action on it, you’ll NEVER move forward. If you follow any of leaders in this industry you’ll eventually hear them say how they took action and then learned as they went. As an example: I had NO CLUE how to write a good blog post when I first started. BUT… through the action of writing blog posts over and over, I developed my skills through action. Now when to I want to write a post, I know where to start, how to focus on keywords, and everything flows naturally. And most importantly, I NEVER got to the point of Information Overload. Information Overload is a killer of progress. Trust me, I’ve been there. But I hope this post can help you to avoid it. Let me know what you think. Have you experienced overload? Are you overloaded now?